Ok…wait for it! This is going to be an epic post about an epic collection. Thirty-five hand-selected resources chosen to transform your parenting — and they can all be in your library. It's Mindful Nurturing's Essential Parenting Collection, of which I'm an organizer and contributor. We've got mini-collections available on the topics of Pregnancy and Birth, Parenting the Early Years, Child Development, Mindful Guidance, and Resources for Parents, so I'll be going over those for you here. The full collection includes coloring books, eCourses, eBooks, Audiobooks, Workshops, online yoga courses and more. Shall we dive in? You want to know exactly what's inside, right? Let's look a little closer! It's everything I know about conception, pregnancy, and postpartum. And I know a lot! I mentored hundreds of parents in childbirth classes when I was a Birthing From Within Mentor and in labor as a Certified Doula. I have also been a Licensed Massage Therapist for 14 years, specializing in pre-conception, pregnancy, and postpartum. And of course, my sweet Penelope, my oh so wanted, but oh so difficult baby (now almost 4!) has taught me a thing or two as well. This ebook is just good, fast, easy-to-understand information about everything you absolutely must know as you begin your journey to motherhood. I am giving you all the juicy tidbits and lessons I have learned from working with pregnant couples for the past decade as well as my own experiences with being pregnant and a new mom. It's everything I have ever told friends or clients, plus some things I wish I had known before getting pregnant with my daughter and other things I will do differently if I am blessed with another baby. 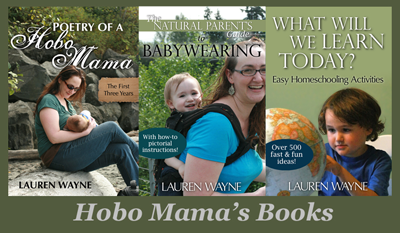 I have also included advice from my team of writers at Mama and Baby Love and some from other bloggers that I love, like The Pregnant Chicken, Code Name: Mama, Mother Rising, Dou-la-la, The Homeopathic Pregnancy, Naturally Knocked Up, Mommypotamus, and more. As usual around here, I tell it straight, no beating around the bush or sugar coating things, which of course means there are a few curse words, but it’s a funny read. You will laugh out loud, I promise." The Postpartum Herbal Guide is an introductory booklet to herbs for new mothers. Topics include: how to make a herbal infusion, herbs for the postpartum time, traditional chinese postpartum bone broth recipe, herbs and breastfeeding and how to make your own sitz bath mix. Learn how to use herbs to support and strengthen your postpartum body and to heal minor ailments. Make your postpartum time a nourishing one. The Business of Baby: What Doctors Don't Tell You, What Corporations Try To Sell You, And How to Put Your Pregnancy, Childbirth, and Baby Before Their Bottom Line. Why does the USA have among the highest maternal and infant mortality rates in the industrialized world? Why do pregnant women who plan to breastfeed receive “free” samples of infant formula from American obstetricians? Why are American newborns given a vaccine at birth against hepatitis B, a sexually transmitted disease? This eye-opening work of investigative journalism exposes how our current cultural practices during pregnancy, childbirth, and the first year of a baby’s life are not based on the best evidence or the most modern science, revealing how American moms and their babies are being undermined by corporate interests. The only hypnobirthing program by Board Certified Doctor; hypnosis mp3s, scripts, nutrition guide, birth music; less than half the price of most hypnobirth programs. With all three Birth Relaxation Kit™ hypnobirthing programs you will overcome anxiety and fear so you can give birth confidently, feeling empowered and relaxed. You can enjoy a shorter, more comfortable and even pain-free birth! Why Hypnosis For Pregnancy and Childbirth? We are dedicated to serving moms and moms-to-be seeking an empowered, safe and more comfortable childbirth experience. We Are On A Mission to empower you with real tools to birth confidently and without fear...And the movement is rapidly growing as thousands and thousands of women are successfully using hypnobirthing and self-hypnosis for birth, pregnancy and motherhood. Simply Natural Pregnancy is a back-to-basics eBook for mothers who want to "go green" but are overwhelmed and stressed by all the alternatives available. Using concise information, actionable but powerful baby steps, and resources for digging deeper, Simply Natural Pregnancy is a transformative tool for every expectant mother. Bundle purchasers will receive three months of unlimited access to four types of yoga classes and all membership bonuses! Your physical alignment plays a vital role in your pregnancy, labor and delivery, but very few prenatal exercise programs teach moms to restore healthy alignment. Each Stay-at-Home Yoga class is designed to provide you with both information and exercises to restore natural alignment, reduce pregnancy aches and pains and prepare you for a natural birth. The colic solution is an ebook to help new mothers with colic symptoms in their babies. I have detailed my experience with colic three times over, and given examples for what to look out for and how to start applying some tried and tested relief methods. Every baby is different, unique, not one solution will work for every baby. That is why my ebook has many suggestions, angles of approach and views. One WILL work for your baby! You will sleep again and you will be able to finely drink that cup of HOT tea or coffee that has been eluding you for weeks! There is light at the end of the tunnel. A first time mom reflects on her journey of breastfeeding twins. “Don’t judge your entire experience based on the first three months,” she cautions, as she shares the challenges faced during the ‘fourth trimester’ and beyond. Part memoir, part manual, Mercedes shares her story as well as suggestions on what gear to buy (and what to skip), recipes, links for further reading and a printable feeding log. Topics include: positions for tandem feeding twins, pumping and milk supply, and scheduling feeds vs. feeding on-demand. Oxytocin Parenting — Womb through the Terrible Twos. Did you know that a child's ability to love and connect is shaped after birth? The way you parent your child actually influences the way her brain cells wire together to form the circuits she’ll use in social situations throughout her life. A key to forming healthy relationships is the oxytocin response. Oxytocin is naturally released inside the brain when we feel safe and can open to intimacy and connection. The oxytocin response probably begins to develop in the womb, is influenced by the birthing process and then continues to develop in the first three years of life. It’s shaped by the love and care a baby gets in this period. This book is valuable reading no matter how old your child is. Parenting understanding of oxytocin and advice for all ages (works with spouses too!). The Natural Parent's Guide to Babywearing. Babywearing gives you a convenient way to carry along a little one, keeping your child engaged while allowing you as the parent or caregiver to continue with the routines of life — walking, using your hands for tasks, and even breastfeeding — while keeping your child secure. This book is a Babywearing 101 class, giving an introductory overview of babywearing, along with troubleshooting ideas for special circumstances. We'll talk about the benefits of babywearing, types of common carriers, how to babywear safely, pictorial how-tos for how to tie and wrap the most popular carriers, tutorials for making your own carrier, and a list of helpful resources for information and support on your babywearing journey. Whether parent, teacher, grandparent, or nanny, this book will help you see the importance of not only your role as parent or caregiver, but the relationship, too. Changes in your approach, words, and tone can have lasting beneficial effects in your relationship with a child and on that child’s behavior as well. JUNO promotes a natural approach to family life that inspires and supports parents as they journey through the challenges of parenting. We have an ethos based on conscious parenting, sustainability, social justice, non-violence and a commitment to personal growth and spiritual awareness and share fresh perspectives in this fast-paced technological world, creating a non-judgemental community for those who are keen to follow "a natural approach to family life." Written for girls aged 9-14 introducing them to the menstrual cycle in simple, soulful language, taking the form of a gentle, meaningful initiation into womanhood. Reaching for the Moon incorporates stories, real womens' experiences of their first periods, and answers girls' most burning practical questions about periods and their bodies in a loving, age-appropriate way. This is the guide that empowered and caring mothers, aunts and godmothers want for the girls in their lives. Your child has a vital need to connect with you. This booklet helps you understand your child's emotional life, and how you can best fill his needs. This book looks at the difficulties children with Autistic Spectrum Disorder (ASD) have including lesser known problems such as sensory problems to anxiety and explores the effects these can have. A psychologist with a reputation for penetrating to the heart of complex parenting issues joins forces with a physician and bestselling author to tackle one of the most disturbing and misunderstood trends of our time -- peers replacing parents in the lives of our children. A phenomenon they term peer orientation, it refers to the tendency of children and youth to look to their peers for direction: for a sense of right and wrong, for values, identity and codes of behaviour. Peer orientation undermines family cohesion, poisons the school atmosphere, and fosters an aggressively hostile and sexualized youth culture. It provides a powerful explanation for schoolyard bullying and youth violence; its effects are painfully evident in the context of teenage gangs and criminal activity, in tragedies such as in Littleton, Colorado; Tabor, Alberta and Victoria, B.C. It is an escalating trend that has never been adequately described or contested until Hold On to Your Kids. Once understood, it becomes self-evident - as do the solutions, none of which are impossible or even costly to undertake. The Drama Years is the definitive guide to the pressures that middle school girls experience every day. Speaking to parents of both middle school girls and high school girls alike (and the girls themselves), it is packed with the voices of middle school girls, who share their experiences, anecdotes and thoughts on everything from stress to body image, from frenemies to getting along with parents. Throughout the book, high school mentors share their own similar experiences—and offer parents advice for how to help their girls survive this tricky time. Our culture has strict rules for acceptable behavior for men and women. But what about kids who fall outside the boundaries of prescribed roles? This book is a guide for parents in the practical application of Gender Neutral Parenting - a parenting style based on respect for a child's self-identity and providing latitude in exploring their own version of gender and gender expressions. There is an abundance of resources available which tell parents why traditional parenting practices are not optimal, but few help parents learn what to do in place of traditional practices. In this book, we'll discuss the principles of positive parenting, and then we will go through more than 40 scenarios to show you what it looks like when these principles are put into action. What do you do when your child acts out? How do you tell a child "No" without triggering a power struggle? This booklet teaches you to set healthy boundaries, interact with both warmth and authority and create cooperation and closeness. Create a stronger relationship with your kids by changing the way you speak. Lori Petro will show you how to create peace in your home without sacrificing your influence. Simple guidance for developing healthy attachments with your child from conception to age two, for raising a child who laughs lots, loves big, and learns exceptionally. Taking a look at raising your baby from a neurological point of view, Bryan Post’s latest book will help by providing parents with what he calls "seven gifts of parenting softly." It is guaranteed to provide insights you may have never considered. A perfect gift for new or expecting parents! Following on from 'Why Does He Do That? ', A Survival Guide suggests relatively simple ideas that, although they do not offer a 'quick fix' or a miracle cure, are easily implemented and can be very effective. Your kids are your pride and joy, but sometimes conflict arises and it can be overwhelming. You lose your temper when you don’t mean to. In this guide, I break down an interaction into 5 manageable pieces, making your issues easier to define and act upon effectively. There is not a one-fits-all solution, so you have opportunity to customize your Cool Down and Help Strategy. This is about knowing your individual triggers and your individual child and getting on a path to a strong and peaceful relationship. Parenting kind of crazy? The Sane Parenting Challenge is a six week journey to transform how you respond when parenting feels intense. Each week you are invited to incorporate a simple, yet effective practice into your life to gradually begin choosing your response when parenting feels crazy so you can experience more ease - and still keep the joyful crazy parts that only parents can understand. The Liberation Parenting Program is a multimedia e-course that helps parents to do the inner work needed to move through blocks that keep them from sustaining relationships with children that are grounded in trust, respect, and freedom. Using tools for transformative learning, parents will experience greater wholeness and connection for themselves and support the children in their lives to do the same. Parenting can blindside us when it pushes our buttons from how we were treated as a child. "Calm Authority for Fathers" is an easy, relaxing way to harness the latest scientific finding: the more you can make sense of your own past, the healthier and more successful you child will be! The bonus: It cultivates an inner calm and self-possession that’s essential for effective parenting, and that makes most discipline issues evaporate before they ever appear. As a Divorce and Parenting Coach and Founder of the Child-Centered Divorce Network, Rosalind Sedacca shares valuable advice, tips and insights for divorced parents on helping children cope with divorce and transition after divorce with the best possible outcome. She helps parents understand the emotional effects of divorce on children and how to protect their children from hurt, anxiety and long-term damaging consequences. Learn how to co-parent more effectively and become aware of your child’s needs at differing ages and stages during and after divorce. Many of the materials used in household items can leach chemicals into the air that we breathe and onto our children's delicate skin, causing problems and health issues that can affect your family's quality of life. This eBook will help you identify the 'nasties' in your home and give you ideas on what you can easily do to replace them or reduce their effects. Learn the tools to champion children to build soaring self-esteem as a Certified Coach in Self-Esteem Elevation for Children. This is a 15-page coloring book with line drawings by Joni Rae Latham. The drawings depict a story done in coloring pictures of a nursing toddler who still spends much of his/her day breastfeeding, and the new baby that is suddenly in the house. Disclosure: Mindful Nurturing are affiliate links. so purchases through my links help support this site.